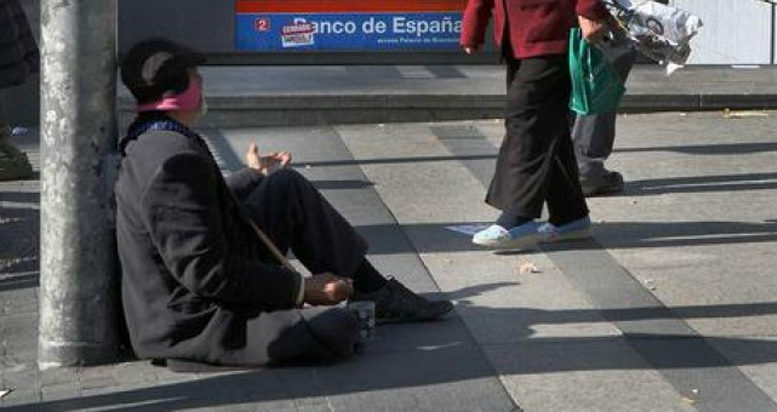 The Socialist party (PSOE) has criticized the scant attention paid to Spain’s homeless in the 2017 federal budget proposed by the conservative Partido Popular (PP) government of President Mariano Rajoy and demanded that the government follow through on its pledge to fund a comprehensive plan to deal with the homeless problem. In a move under-reported by the Spanish press last week during Semana Santa, the PSOE introduced a proposal in the Congress of Deputies demanding a line-item be established in the 2017 budget to fund a national strategy and five-year comprehensive plan to deal with the growth in homelessness in Spain. In 2015, the federal government to implement a National Comprehensive Strategy for the Homeless 2015-2020 (Estrategia Nacional Integral para las Personas sin Hogar 2015-2020), but the plan has never been funded by the Rajoy administration. According to Spanish non-governmental organizations working with the homeless, more than 40,000 people are living on streets across Spain, with no access to affordable public housing and basic social services. In its demand that the national plan be funded by the PP government in the 2017 budget, the Socialists said that the “social policies carried out by the PP government since 2012 have generated a significant increase in the number of homeless people.” Of particular concern, said the party, is the growth in the number of young people, women and couples with children now finding themselves living on the street as a result of having lost their jobs and homes during Spain’s economic downturn of recent years.